Happy February! Can you believe we're into the second month of 2017 already? Madness! With February comes Valentine's Day, a day for showing your love for others but so many women forget to give themselves some self-love. So, one of my favourite brands MissFits Nutrition has set up a campaign called 'Love Yourself This Valentines Day' and I'm jumping on board to support it. I think it's wonderful to show your love for other people but it's also extremely important to show love to yourself. We are often so focused on doing things for others but it's vital to give ourselves a little attention too and to do more things that make us happy! Something I love to do that makes me feel happy is baking. I find it truly relaxing and therapeutic. 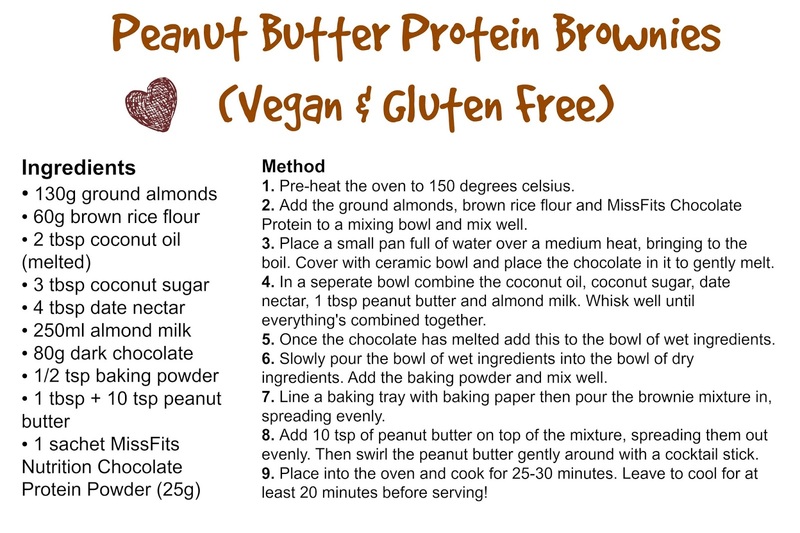 So, I thought I'd share a recipe with you today that incorporates the incredible chocolate protein powder from MissFits Nutrition! 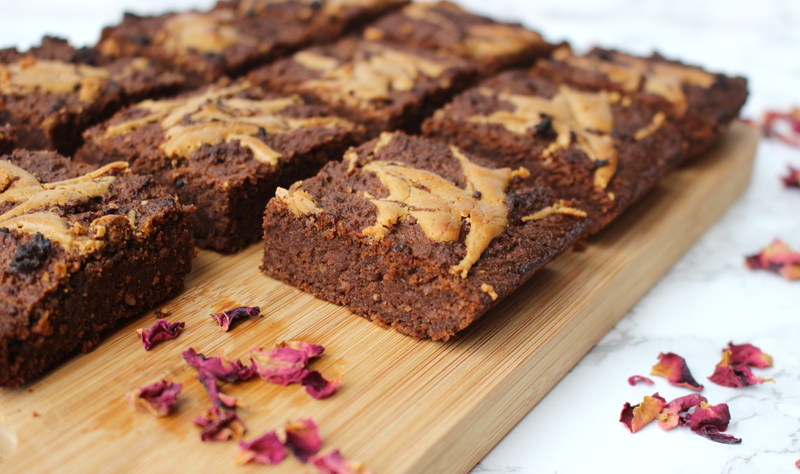 Hello Peanut Butter Protein Brownies! 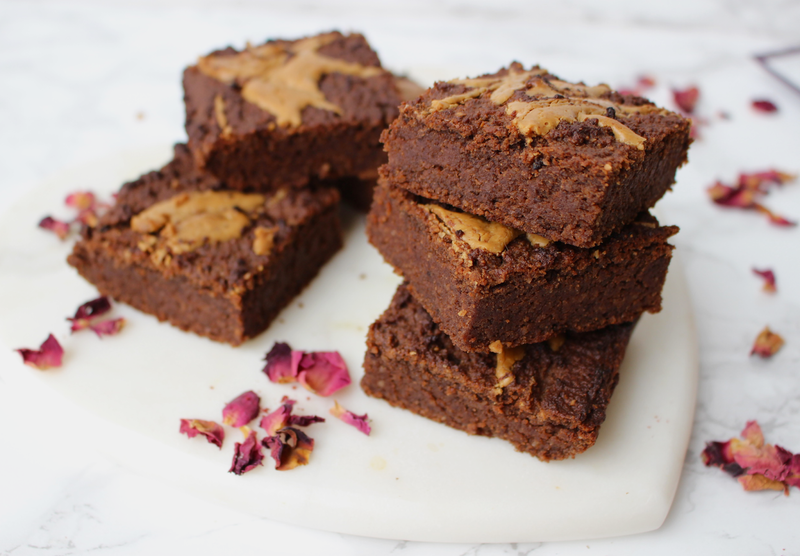 These Peanut Butter Protein Brownies are a dream! They're perfectly moist, amazingly chocolatey, truly indulgent and wonderfully rich BUT there's no preservatives, refined sugars, dairy or gluten in this recipe! They're made with natural ingredients that won't spike your blood sugar levels or leave you feeling bloated, instead they're loaded with essential nutrients, healthy fats and added protein from the MissFits Nutrition Chocolate Protein powder! If you haven't heard of MissFits Nutrition before, they're a protein powder company aimed towards women (although men can most certainly enjoy them too!) that focuses on nutrition and natural ingredients. They're protein powders are true multi-taskers that will provide your body with the nutrition it needs to replenish and develop, with an added vitamin and mineral blend to leave you feeling and looking your best! Plus....they taste AMAZING! I find that vegan protein powders often taste really earthy or just quite unpleasant, but MissFits protein is so yummy - even just mixed with water or almond milk in a shaker! The protein comes in handy 25g sachets, perfect for on the go, and comes in 4 flavours - chocolate, coffee, mixed berry and vanilla.